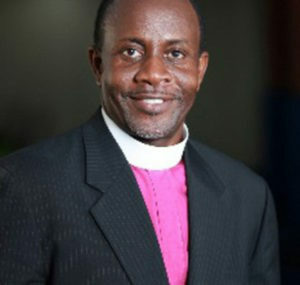 Bishop John Cline, who has been described as the man who inspired the 24 May Decision March announced that he will be boycotting the 2018 Queen’s Birthday celebrations in protest of the United Kingdom Government’s decision to force the Overseas Territories to implement public registries which will be detrimental to the Territories’ financial services sectors. In further denouncement of the United Kingdom unilateral decision for the BVI and sister Overseas Territories to implement public registries of beneficial ownership by 2020 the ever popular Bishop announced that he will not be attending the Queen’s Birthday celebrations that are set for 9 June. Meanwhile the government has announced that the annual birthday celebration will commence with a grand parade from the Noel Lloyd Positive Action Movement Park to the vacant lot behind the Central Administration Complex on Wickham’s Cay. As usual the parade will include uniformed participants, youth organisations, schools and service clubs. There will be the traditional inspection of all units of the parade by His Excellency Governor Augustus Jaspert. This will be followed by a march-past, the hoisting of the Governor’s Standard and the Royal Salute given in honour of Her Majesty. One of the traditional features of the Queen’s Birthday Parade is the award ceremony. This year it was announced that 22 officers from the Royal Virgin Islands Police Force will receive medals in honour of their years of service. Additionally, six officers will receive the Overseas Territories Police Medal for Long Service and Good Conduct for 18 years of service.